Action Comics #1 Cover OA...still exists?!?
. 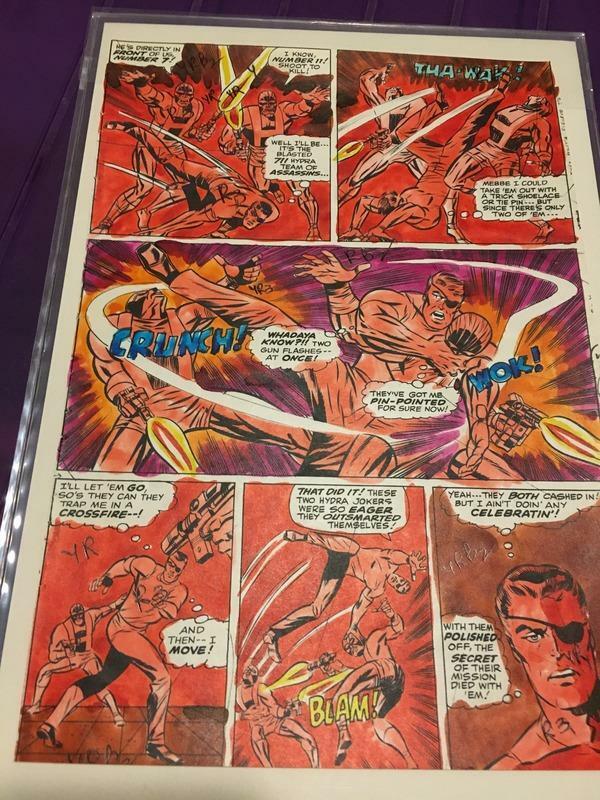 . . and, surprise, surprise, here are some Marvel interior page stats (owned by Sharkey) that Jim Steranko hand-colored himself (as a guide for the engraver) . . . This doesn't prove a thing, but the unpublished AF 15 cover was first published in 1970 in the second issue of Marvelmania. Here is the front and back cover I just took a pic of. Obviously there is no way to know if this is from a stat or OA. I hate to state the obvious but what do you think colorists were working from? That’s my point. The argument that they saved the interiors for reprinting makes no sense. They had Stats or photos of them they could use. Just like the covers. So we are supposed to believe they tossed the covers but not the interior art, when there was no reason to keep the interior art. The interiors were retained for reprint purposes. Covers were produced solely for the month of the year they appeared to front the comic-books, so were difficult for reprint purposes unless heavily restructured for the later time-period (far easier just to get an artist to re-draw a fresh one as the covers were, after all, a packaging element of the story product). There's an inventory of Marvel OA dating back to (I think) the early 1980s out there that's appeared on these forums numerous times . You don't see the covers being listed alongside the interior pages following the audit of what Marvel actually held in their warehouse (at a time before the art was dispersed).. From what I recall, there was a spattering of covers from the latter half of the 1960s (and upwards) mentioned but none of the early ones (someone correct me if I'm wrong on that claim). Although it's possible that more of the earlier covers exist than is currently known, I think it's unlikely. Certainly not in big numbers. Big money being spent OA should be enough to tempt their release (if they existed). How about the early 1960s non-key titles . . . Millie the Model and the Western titles for example. They're hardly high-demand books, so why haven't we seen such things surface? Irene Vartanoff inventoried all of Marvel’s art in 1974, and kept it updated until 1978 when Marvel decided to give the new art back to the creators. She says she was meticulous and inventoried everything. I think we can dispense with the “they saved the interiors for reprinting” argument. 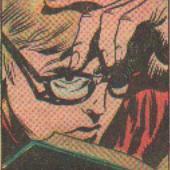 Since Marvel could reprint from stats or photos, they had no reason to keep the interior art for that purpose. It must have been for some other reason. In which case, it increases the mystery for why they would supposedly discard the covers, but not the interiors. Again, why make stats of covers, but not the interior pages? You don’t need the originals to reprint the material. This is why I think the covers were saved, and are not surfacing because the people who have them know they aren’t supposed to have them. Or, they acquired them from someone who wasn’t supposed to have them, and don’t want the massive legal mess that may ensue. I am reminded of Glen's comment that they kept stats of all the unpublished covers, and that makes perfect sense. It would have been cover inventory for possible future use. 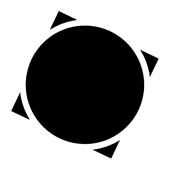 Change the logo and/or the issue number when its appropriate to do so, and boom you've got a ready made cover you didn't have to pay another artist for. I do think you're overlooking the possibility that they may not exist simply because nobody gave a dam. The Honeymooners was a big deal in the 50s right? Yet there are lost episodes. I'm not saying they do or don't exist (although I lean towards no just because its been 55 years now, so much time has passed). However, if episodes of the honeymooners can be lost, then trust me, marvel covers can be thrown out. If a couple hundred copies of Superman 1 can exist from a print run of 1 million, marvel covers can be thrown out. Ah but that's golden age you say? Well as some know I collect OA for 80s/90s video game box covers. There are many instances were THOSE were thrown out. 80s and 90s material. Same thought process, no one thought it had value and the game had been commercially released, so the artwork was pointless. Toss. Well, now the games are collectible and sometimes quite valuable. But nobody thought any of it had any value then, so nobody cared. Sound familiar? I spoke to maybe the most talented artist working in that space back then and he threw out 500 or so drawings just to make space in his storage room, and he used one of his Castlevania paintings from the early 1990s as a spare canvas to test varnishes on. In the 1960s? Nobody. Gave. A. Krap. We're lucky the interiors survived. Did the covers? We will see, but when it comes to dispensing with arguments, the 'I want them to exist so they must' is not persuasive. The covers and the interiors were separated. That's a known fact. We are lucky the interiors survived. Did the covers? Who knows. But people can't keep secrets. So if they are out there, one person or small group has them all. Hero, pre-hero, western, romance, all of it. Seems like a lot to ask after 55 years, but you never know. The fact that neither side can prove its position, and the potential value involved, makes for an irresistible topic. It would be fun to watch what would happen to the market if they were for sale one day. How about an ASM 14 or FF5 cover sale? Homina homina. Ummm...I listed my evidence. The interior OA exists, etc. Your evidence is that it hasn’t surfaced yet. The absence of evidence isn’t evidence of absence. You've not only listed no evidence, but you're ignoring what people seemingly a lot more knowledgeable than you are telling you. I want it to exist too- I think most of us do. At this point though I think you just don't want to be wrong. No I’m not. You don’t need the OA to reprint it. You only need a stat or a photo negative. So, there would be no reason to keep the OA or the covers. 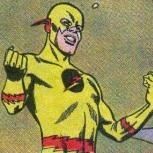 Yet, we know the OA for several of of the key 1st appearances of Marvel Silver Age heroes still exists. Someone decided they were worth saving. But not the covers? If all or most of the OA from those issues didn’t survive, I’d agree that the covers probably don’t. But, they did. And that makes it likely the covers were saved too. By whom, I don’t know. Who has them now? I don’t know. Did anyone know the AF #15 art survived until it was donated to the LOC? If they do still exist, there are any reasons why the current owner would not want anyone to know. the fact they kept any art in the first place means that they WERE thinking about reprints. Otherwise, they simply would have tossed it all like so much cheap garbage. Brad Savage, who can be found at every Comic Art Con, is the one reputed to have the Cap #1 cover, but no one has ever seen it. Even those that have been to his house (which is another story or stories) claim to have never seen it (but certainly tried). As this story goes though, Fishler once offered Brad 10K cash after one of the infamous Sotheby's auctions to simply show him the cover and Brad declined. So take from that what you will. The complete list of what Jerry Robinson owned floated around a few years ago right after his death. There is some tremendous OA in there but no, the X-Men #1 cover, etc are not in there. I think his top covers are already public knowledge, including the Detective #69 cover. There's another good story that no one's mentioned involving the interiors to FF #1. On CAF someone used to have the stats to a few pages, which was awesome to see. But apparently as the Torch's flames became more defined, the original pages where Torch appeared were whited out and redone for reprint publications. Apparently at one of the infamous Carbo Church shows, someone purchased an original page for cheap because the seller didn't realize it was an original because of the white out/redone Torch art. Where that page is now, no one knows and who knows if this story is even true. We all know there's a page of OA from the Sub-Mariner story from Marvel #1, but there's is also at least one Joker page from Batman #1. I may or may not have seen that one years ago, I can't recall, but its existence has been verified by a few people. 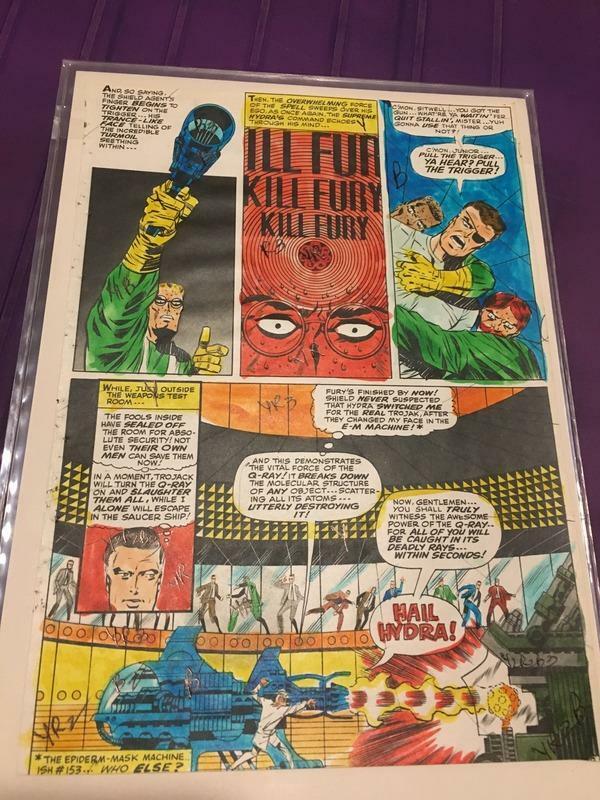 The first few panels from Action #1 were auctioned by Sotheby's but no one purchased the lot at auction. It apparently sold post-auction to a well known collector for 100K and hasn't been seen since. And apparently the same owner of the Batman #1 page owns the Action #1 panels. Like everyone else that has posted here and those I've spoken with who have searched for answers will tell you, there are other covers out there that are not public knowledge, but the vast majority of early Marvel covers simply don't seem to exist. And yet, where are the interiors to Avengers #4 and FF #48-50? Surely they exist and someone must've grabbed them early on for preservation and/or future value. Yet no one I've spoken with knows of their existence either. The A Priori Argument (also, Rationalization; Dogmatism, Proof Texting. ): A corrupt argument from logos, starting with a given, pre-set belief, dogma, doctrine, scripture verse, "fact" or conclusion and then searching for any reasonable or reasonable-sounding argument to rationalize, defend or justify it. Certain ideologues and religious fundamentalists are proud to use this fallacy as their primary method of "reasoning" and some are even honest enough to say so. E.g., since we know there is no such thing as "evolution," a prime duty of believers is to look for ways to explain away growing evidence, such as is found in DNA, that might suggest otherwise. See also the Argument from Ignorance. The opposite of this fallacy is the Taboo. And at this point, I know what a brick wall is. I just refuse to bang my head against it any more. IIRC, these were not panels from Action 1, but precisely the panels that were NOT used in Action 1 when they cut up and repasted a Sunday strip format page by Siegel and Schuster. Okay, I've a few loose-ends that I ought to respond to, so I'll make a few last points. "I hate to use logic, but why would they make a “stat” of the covers but not the interiors?" My response being that they did makes stats of the interiors (as well as covers) for the colorists to work on as a guide for the engravers at the printers. So why would an uncolored stat of the unused AF # 15 exist? If it was rejected there would have been no need for the colorist to proceed with a color guide. Hence an uncolored stat (or copy of it) still existing. A surviving stat of this (and a few other unpublished Ditko covers) doesn't necessarily equate to the OA still existing. Don't get me wrong, I'd love the OA to have survived, but proof is better than suspicion. And your own contentions prove nothing. So if Vartanoff was meticulous and inventoried everything, where's the listing of early covers? Actually, the absence of evidence is evidence, so long as there is a reasonable expectation that there would be a response. As examples, the failure to respond when a response is expected is called an "admission by silence." Likewise, the absence of a business record when a record should have been made in the ordinary course of business is evidence it doe not exist. Now, we are obviously not talking about a courtroom here, but look at it this way: what are the chances of the most valuable OA which could ever have been made still exists--with all the attendant publicity about rare comics--yet no one has stepped forward? Right up there with the discovery of living dodo birds. I believe you have it backwards. These panels were the original art that Siegel & Shuster used to try to sell Superman as a strip (which was their initial focus). These panels were later used piecemeal for Action #1 (I believe on the 1st page to explain his superpowers). Also, there are people on these boards that have posted that could share at least a novel's worth of stories, but I believe the bickering prevents them, in part, from doing so. Someone from the next cohort of collectors has to pick up the gauntlet from the last one and if these stories are not passed down, I fear that a lot of fiction will become fact. There is an extremely rich history to this hobby but if these stories are not passed down and for example, if in five years someone says the name "Conrad" and no one knows who they are talking about, then I think thats a very sad direction that the hobby has taken. And these boards are one of the only ways that these stories can be passed down. There is an extremely rich history to this hobby but if these stories are not passed down and for example, if in five years someone says the name "Conrad" and no one knows who they are talking about, then I think thats a very sad direction that the hobby has taken. And these boards are one of the only ways that these stories can be passed down. So tell us some stories. I have no idea who Conrad is. Conrad Eschenberg, I would imagine.